Chicago's Divvy bike share program is growing and will soon be the largest system of its kind in North America. 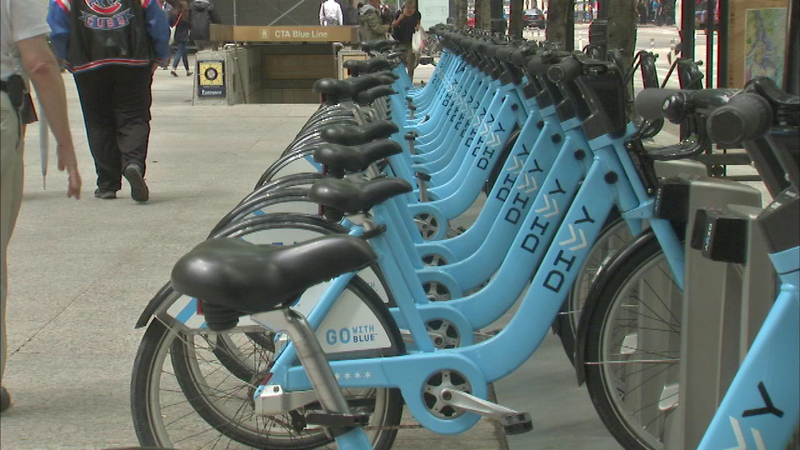 CHICAGO (WLS) -- Chicago is getting 176 new Divvy bike stations. Crews will begin setting up the stations this month. The job is expected to be complete by early summer. Chicago Department of Transportation officials said Divvy is doubling its service area, from 19 percent of Chicago's geographic area to more than 38 percent.